Canadian Scrapbooker Magazine sent me here. I love this and can’t wait to try it out. (Reminds me of the Doodle Art days of the 70’s…haaa). Thank you. This is just AWESOME! I love it! Thank you CTMH! Would love a chance to win, but I’m not a social media geek! Don’t think Facebook should be a requirement. New to CTMH, would so love to add this to my collection of your stamps, and winning it would be fantastic for this 77 year old scrapbooker. Nancy Bishop, I love to hear that I am not the only 70+ person just starting out. I received a Cricut for Christmas and it was all up hill from there. Now on year 10 for my 41 year old son. Only child so I didn’t have to worry about others. What got you started??? Love this stamp set and would like to win it! I was directed here by the Canadian Scrapbooker Magazine site. canadian scrap booking sent me here, love the stamp as it has lots of possibilities! Soooo sweet!! love the easy way to embellish your lay out. Hope to win!!! Hello from Canadian Scrapbooker Magazine! Another gorgeous stamp set, thanks Canadian Scrapbooker Magazine for sending me here. Beautiful stamp set! Thanks for sponsoring the giveaway at CSM. 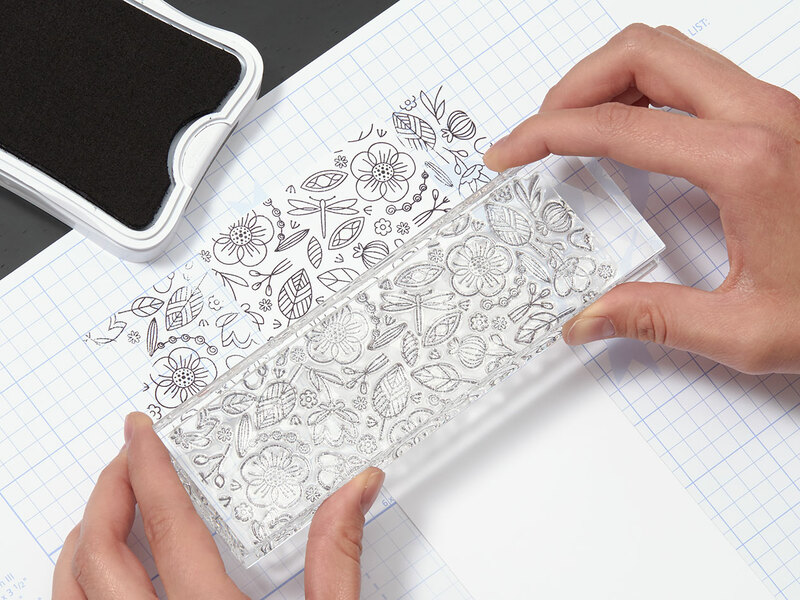 I’d love to own the Seamless Spring Stamp tool. This would add a great touch to my scrapbook pages! I hope I win the giveaway. This is great! Love that stamp set! Thanks for the chance! Love this stamp set. Thanks for chances to win. I’m just beginning to do stamping & love these stamps & the idea for using them & coloring them. Scrapbooker for about 17 years & ready to try something new to me!!! Hello from Canadian Scrapbooker! I have to say tat I met your products through my consultant Cathy Lorincz about 2 years ago and I have loved every single item I have purchased! CTMH took me beyond acrapbooking into cards, artwork and even designs for the office! Thank you for such a quality and versatile product selection!!! My fingers and toes are crossed for this one! Gorgeous! Would love to try this set and the markers. Love coloring, the alcohol inks have the best look. Love the scrapbook page! I’m so glad to find your blog!! I’ve bought CTMH in the past and now see what a wonderful founder the company has!! Thanks for the chance to win!! Love Why Not Win Wednesday with CSM and CTMH! What a great idea. 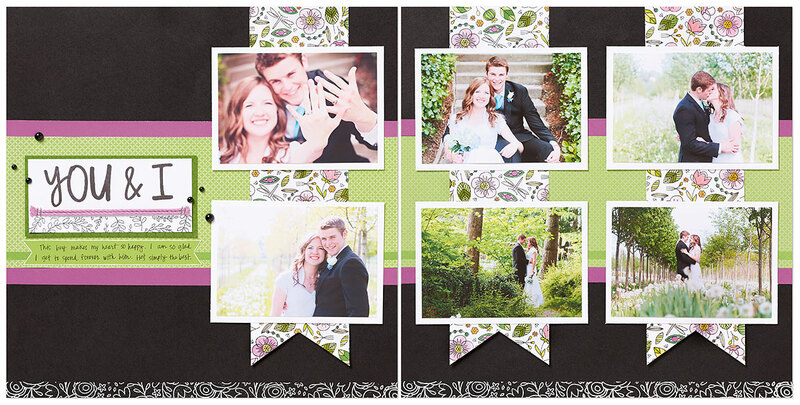 You can make your own individual background or border for cards or scrapbooking. What a great stamp set. I love how you can just stamp it again and again to make it as large as you need. Hello from Canadian Scrapbooker. Neat looking stamps. Hello from CS. I love the pages done with this stamp set. Nice splash of colour. This is the next stamp set on my list. I love border stamps. Love this stamp set. Love to be able to get my hands on it ! Canadian Scrapbooker Magazine says Hello and so do I. I love the stamps that you have chosen along with the colour pens for the prize from Canadian Scrapbooker Magazine. OMG! Love the seamless…those pens look wonderful also! Thank you for sharing the technique! Directed here by my CTMH dealer. This site is great. Would love to win the stamps. 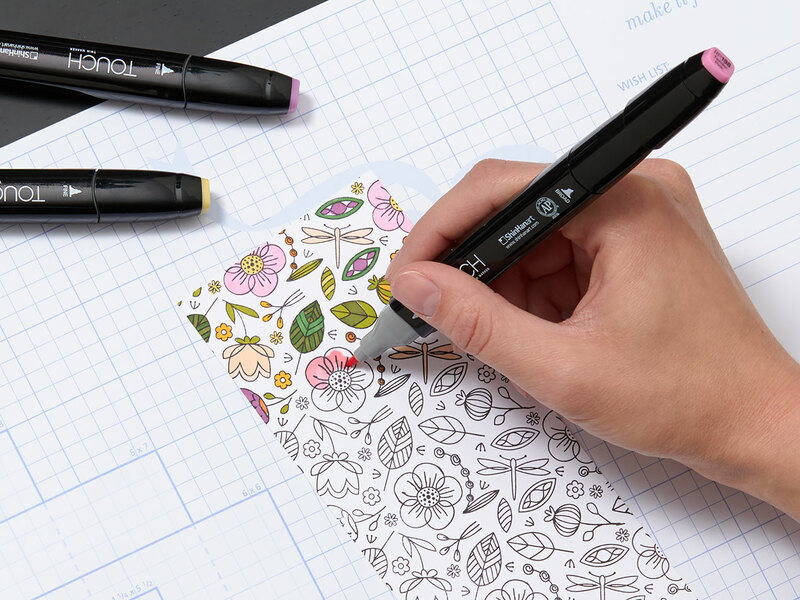 This is a really neat must have stamp set and I can see many hours of coloring in my future! I didn’t find a list of winners posted on the Canadian blog – did they pick winners? This is one of my favourite stamp sets. So many uses and a great doodle time while chatting. Blessings.